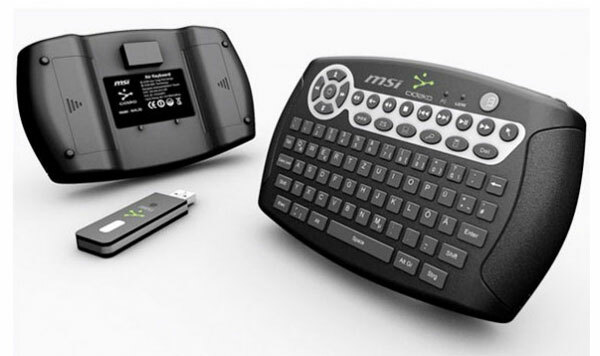 MSI has just launched its latest ultra compact Air keyboard ideal for media systems. 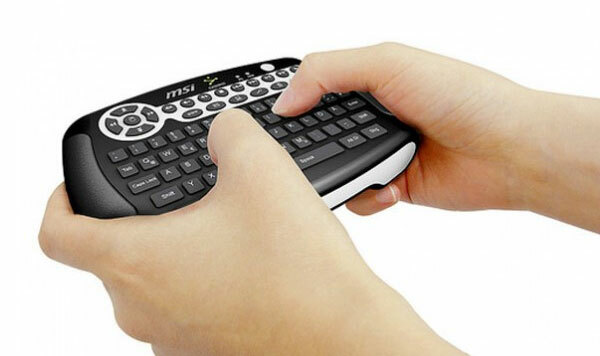 The HTPC keyboard has a built in accelerometer which allows you to use the keyboard as a mouse. It connects wireless using a USB dongle with a 100ft range. 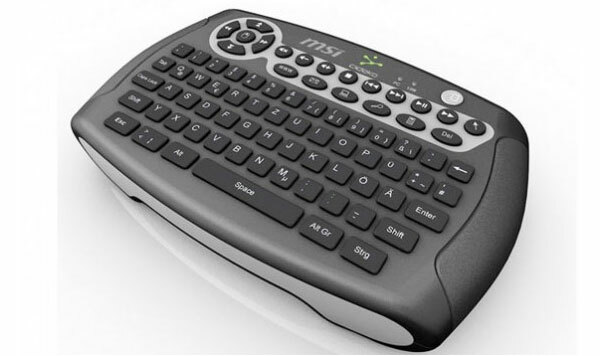 The MSI Air Keyboard has a full qwerty keyboard and media hot keys for those special functions. The MSI Air keyboard runs on two AA batteries and has a special power saving mode after being idle for 10 seconds.